IG Group has parted ways with its longtime executive Alessandro Capuano who joined financial services group FinecoBank this month following a lengthy career with the UK spread betting company. 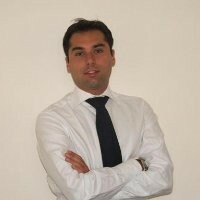 ‎FinecoBank has picked Alessandro to ‎‎assume the role of its newest Global Head of Brokerage. During his tenure with IG, Capuano served initially as Italy’s country head at IG Markets from 2006 to 2009, and then was in charge of IG Italia for nearly ten years. The departure of Capuano, whose career in IG spans more than 13 years, comes barely nine months after installing him in the position of Managing Director at IG Europe, the Bafin-regulated subsidiary of the London-based brokerage. He was responsible for IG business across the European markets. In his previous role, Capuano was based out of the group’s offices in London, Dusseldorf, and Milan but with continental coverage. Capuano joins the Italian financial services group after nearly 18 years in the FX and trading space, having worked at a number of leading venues in the industry. He originally began his career as an analyst with Currency Insight in 2001 and also served for two years as head of Italian Desk at Finspreads IFX, the brokerage firm that rebranded later as City Index. Launched in 1999, Milan-headquartered FinecoBank is part of Italy’s largest lender UniCredit that provides domestic and international banking, brokerage and investing services. With over one million customers in Italy, FinecoBank has recently turned its gaze towards the UK, establishing itself as a key player with its combination of banking and trading services. The group aims to attract clients interested in tapping into its in-app trading services, which currently trades on 26 equity markets and in more than 50 FX pairs.